An Electron rocket launch is about one-twelfth the cost of SpaceX's Falcon 9 rocket launch. 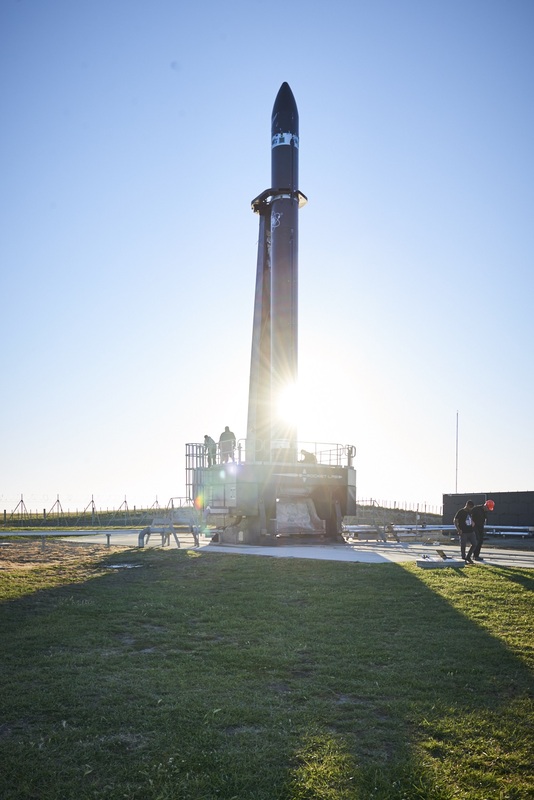 The United States-based space flight startup, Rocket Lab, launched its Electron rocket for a second time on January 21, 2018. The launch successfully deployed three small commercial satellites — each the size of a loaf of bread — into orbit in just eight and a half minutes after liftoff. Rocket Lab is hoping to carve out a niche in a satellite launch market dominated by companies like SpaceX. But SpaceX launches that use a Falcon 9 rocket — which tends to have a larger payload — can cost up to $60 million. The Electron rocket, which carries smaller payloads into orbit, can launch for a cool $4.9 million. This cheaper means of getting into orbit could alleviate the daunting financial burden smaller satellite companies face when trying to get their hardware off the ground. SpaceX has is seen as the gold standard in spaceflight, and continues to play a major role in shaping what the industry will look like in the coming years. But the advent of Rocket Lab and similar micro-satellite launch companies like Vector are a response to SpaceX’s limitations. Smaller companies can offer competition in the industry, and make spaceflight more accessible for companies unable to afford costly SpaceX launches. While this was the Electron rocket’s first successful mission, it wasn’t its first flight. The company’s first test — aptly named “It’s a Test” — was unable to make it into orbit because it lost contact with communications equipment on the ground, causing the rocket to abort the mission. This second test flight, aka “Still Testing,” was so successful that Rocket Labs is considering forgoing its planned third test to begin flying commercial missions for its long backlog of interested customers. Once company on Rocket Lab’s roster is Moon Express, which is hiring the launch company to deliver a lunar lander on the Moon in hopes of mining it for resources. If Rocket Lab’s commercial missions deliver as promised, we could be one step closer to making space mining a reality. Rocket Lab is reviewing the data that the Electron collected during its successful flight into orbit before making plans for its next launch. The company hopes to launch another one of its five available Electron rockets in “early 2018.” But Beck’s company has some lofty goals. The Rocket Lab website states that, at full production, the company expects to launch more than 50 times a year. A diverse group of companies, offering a variety of services, is beginning to shape the future of spaceflight. Industry giants like SpaceX and Blue Origin tend to grab more headlines. But other companies like Rocket Lab are also doing critical work, and ensuring that satellite companies have a cost affordable option of getting into orbit.